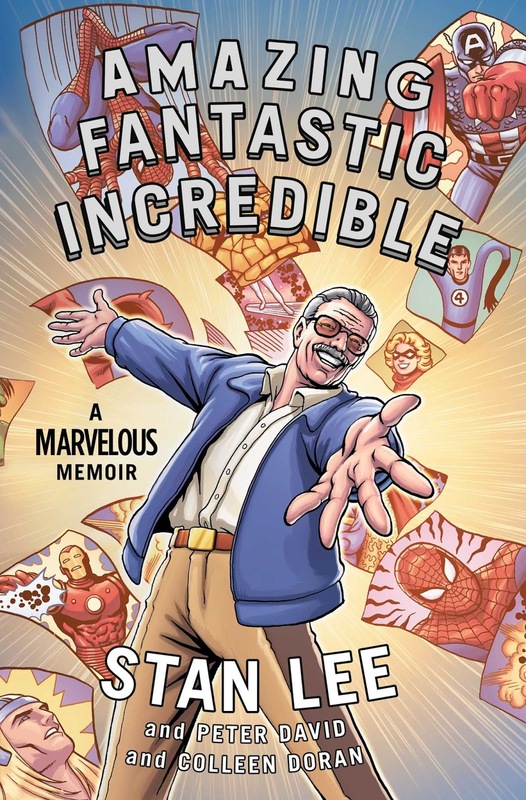 Amazing Fantastic Incredible: A Marvelous Memoir by Stan Lee, Peter David and Colleen Doran allows Stan Lee to narrate the story of his life through the literary style he revolutionized… comics. Lee tells the tale of being a boy who loved to read and lose himself in the adventures of books. 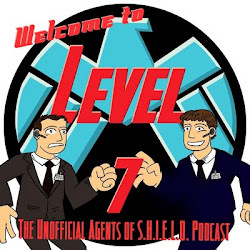 The Lieber home, as Stan Lee was born Stanley Lieber, was one of contrasts as his mother believed Stanley could do and be anything while his father appeared to be constantly searching for success in supporting his family. Stanley dreamed of growing up to be a writer thanks to his love of reading. Lieber got his first serious break by becoming an assistant at Timely Comics where he worked with editor Joe Simon and artist Jack Kirby. Eventually publisher Martin Goodman would put Lieber over all comics, with Simon and Kirby leaving the company. After military service in World War II, Lee would return to comics and find himself a wife in Joan Boocock. Lee would find himself in the 1960’s dissatisfied with comics and with the encouragement of Joan would attempt to write one more story but in his own style, leading to the creation of The Fantastic Four with Jack Kirby. His new story was under the name Stan Lee so he could use his real name for real writing. This success would be followed by others as Lee created heroes with real problems like Spider-Man, the Hulk and even a God with Thor. From here, Lee would publicize and grow comics and superhero stories, eventually leading to his numerous cinematic cameos. I found myself quite surprised with Amazing Fantastic Incredible. Lee is a very positive and large personality in his public image. And Lee in the memoir’s narrative is generally positive and large. And while he does not forget to pat his own back, he also greatly praises the work of others including Jack Kirby who in the text and art is virtually made a saint. Lee does not pull back from potential disagreements. Well actually he does. He notes and discusses disagreements with Kirby, Steve Dikto and even his brother Larry Lieber. But while he acknowledges them, he neither attacks the other parties nor defends himself. Again, while Jack Kirby before his death may have held resentment towards Lee for the credit he received publicly versus himself, Lee puts Kirby on a pedestal. Another example of how he treats uncomfortable topics is the death of his second daughter. Lee mentions it and then the comic format allows us to understand how the event made him feel. And really it is interesting to see Lee’s life played out in comics. It allows the read to be quick yet informative. The format really worked much better than I thought. And it was more than a hooray for Stan autobiography. 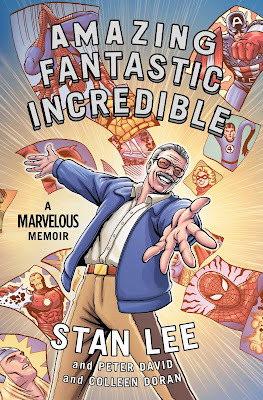 I would suggest comic fans at least borrow Amazing Fantastic Incredible. I did borrow as the $30 list price is to rich for my blood for the breezy read one gets. While the memoir is far from groundbreaking or deep, it is fun and enjoyable. In the end it is a nice use of the format without too much text and good use of images to help convey emotion and story. I was a big fan of Claudia Gray’s Star Wars: Lost Stars. I was impressed with the character building and Gray’s ability to keep my attention in both the big and small the moments. So seeing that she wrote the latest Princess Leia book, Bloodline, I was pretty excited. But would my excitement linger? In Bloodline, readers discover Princess Leia’s life between the Battle of Endor and the foundation of the Resistance. Princess Leia Organa is a distinguished and somewhat older member of the New Republic’s Senate. But much like our universe, politics is division. The Senate has been split into two factions; Populists who wish to have local authority make decisions and Centrists who believe in a strong galactic central government. As Leia considers her continued role in this politically tense situation, she agrees to investigate a criminal ring as perhaps one last adventure. Leia, a Populist, is paired with Centrist Senator Ranslom Casterfo who admires the Empire’s efficiency but holds deep anger towards the late Emperor and his henchman Darth Vader. The book follows the relationship of these two different personalities as they attempt to dig deeper into a well-connected criminal underworld that could be a threat to galactic peace. And Leia’s effectiveness and loyalty is questioned as deeply held secrets of her parentage become public. Let me cut to the chase. I am sad to say I did not enjoy Bloodline. I found that it dragged and failed to keep my interest. Like complaints that many have of the Prequels, this book simply had too much politics. And sadly it was not escapist enough for me since the political nature of the Senate seemed ripped from today’s headlines. Yes, I did enjoy this book linking original trilogy characters to Star Wars: The Force Awakens figures. And I loved the idea of finding out details of both Han Solo’ and Leia’s marriage and Han’s post Rebellion vocation. But these glimpses, regardless of how interesting a new character like Ranslom Casterfo was, just did not keep my general interest. Star Wars fans will want to read Bloodline as it provides the rest of the story. But to me this is a borrow not a buy book. I kept reading due to the fact it is canon. It does provide more backstory to Princess Leia’s decision to become part of the Resistance and why she was outside of the Senate when the Force awakened. But the story itself is simply not my cup of tea (which they apparently drink in many forms in a Galaxy Far Far Away). Between Books - Creativity, Inc.
Creativity Inc.: Overcoming the Unseen Forces That Stand in the Way of True Inspiration by Ed Catmull with Amy Wallace provides Catmull's insights into management and animation history. 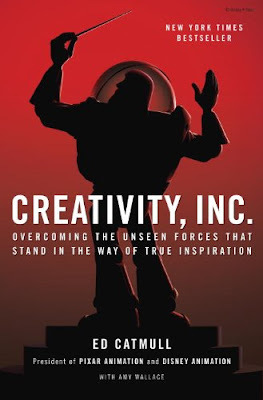 Many readers may assume that Creativity Inc. is either an autobiography or a personal history of Pixar. And while there are elements of both, the text is really Catmull's reflections on both innovation and management. Catmull uses history and personal narrative to provide other managers and innovators insight into his own career. The episodes reflected on include his own early education and steps into animation, the establishment and then sale of Pixar, success under the ownership of Steve Jobs and later its purchase by Disney including expanded roles at Disney. His review of history includes his relationship with the at times mercurial Jobs, the Pixar Brain Trust and it's function, and how Catmull and John Lasseter transitioned from Pixar to Disney leadership. Creativity Inc. is a really good book! Honestly it is something that managers and innovates need on their bookshelf not just Disney fans. Catmull is largely honest about his mistakes and missteps that Pixar took under his direction. Not everything Catmull attempted was a success, including attempts to revolutionize production. And he shows us how a company losing its vision and edge can at falter after early overwhelming success. One of the chief themes in Catmull's leadership is candor. Catmull and John Lasseter require it. They make it clear what candor is and is not. And how candor can be squashed by a inappropriate tone. One of the examples used throughout the book is the famed Pixar Brain Trust. Catmull describes its rules including that Pixar directors can and do ignore its advice. And he explains that everyone is able to provide guidance. These sessions are meant to hone the director's vision and improve the story. And largely they do help Pixar to make some of the best animated features in the world. If I was to criticize Catmull for anything it would be that he does not address claims that the candor of these meetings is not as described, with some not always feeling like they are able to share. Also, I would say that Catmull does ignore some negative elements of Pixar history like the removal of Alvy Ray Smith, a Pixar co-founder. In short he is not always candid. One of the things that I found fascinating is that Catmull made sure with his transition to Disney leadership that he kept the two animation units separate with clear separate structures. The two would not mix or help each other. That way they each could retain separate and clear identities, goals and projects. Additionally, they chose to retain the one Disney animation executive everyone thought Catmull and Lasseter would remove, Andrew Millstein the head of Circle 7 Productions which produced sequels. An early goal for the new leaders was no more cheap sequels. Instead they made him general manager of the studio as he caught their vision. Still there missteps as Catmull and Lasseter worked to overcome Pixar concerns they had lessened their attention on Pixar. Creativity Inc. is a great management and innovation book. I could easily see reading it on a regular basis with using it for occasional innovation advice. The book helps reinforce, in his own words, Catmull as a leadership and innovation leader.